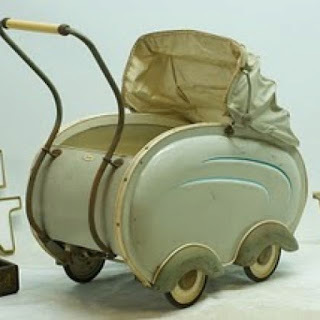 One automobile manufacturer is producing licensing a bassinet (not pictured) that ingeniously virtually reproduces the experience of a car ride that many new parents swear by. Unfortunately, this crib—which makes muffled engine noises and gently jostles its passenger and even will replicate a desired route’s pace and twists and turns—is for now only available in infant sizes because I can also attest that riding in the car can lull me to sleep. When an actual drive around the block is not feasible, however, I suspect that make-believe is still the better alternative.